Better yet, know exactly where to put your calls-to-action! Are your landing pages too long? Or are they not long enough? The Scrollmap can help you determine the ideal landing page length for maximum conversions. The Scrollmap will show you how far visitors scroll on your most important webpages. This is a helpful insight when it comes to figuring out where to put your sign-up buttons, forms, and other important calls-to-action. The spot that most of your visiting eyeballs scroll to is usually a great place for a juicy call-to-action. Scrollmap will show you that ideal location. No need to dig through data or cryptic reports. Just spot the regions that are the whitest-hot to know where the majority of people scroll to. 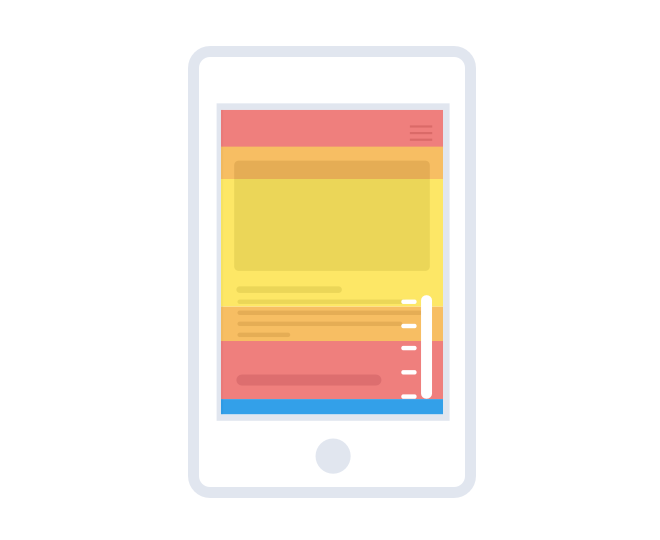 Nothing can kill a mobile conversion faster than an endlessly long web or landing page. Scrollmap is perfect for those trying to optimize conversions on mobile phones and tablets. How is a Scrollmap different from a Heatmap? 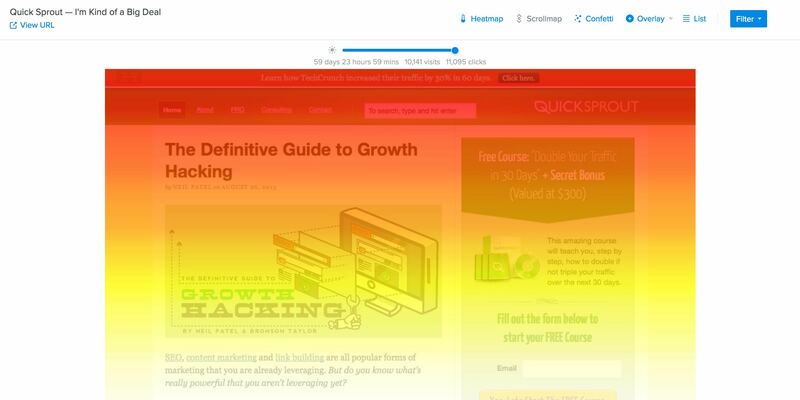 A Heatmap shows you where visitors are clicking on a webpage. A Scrollmap tracks where visitors scroll on a webpage. 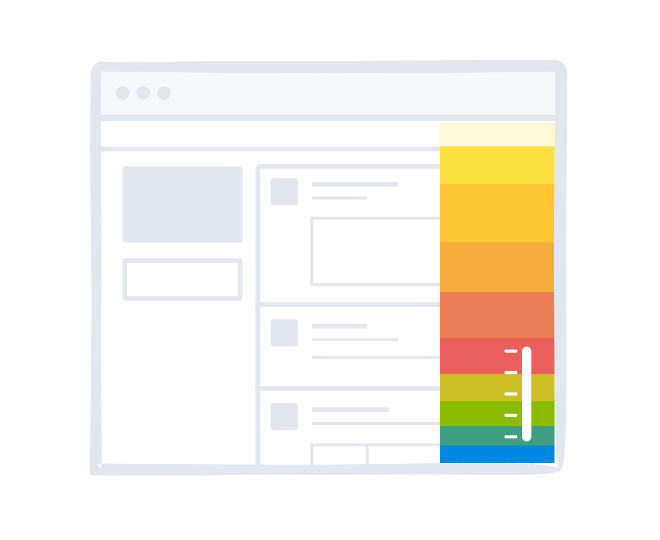 Using both the Heatmap and Scrollmap tools during your webpage analysis will provide you with very important insights. Does a Scrollmap track scrolling on mobile devices? Yes! 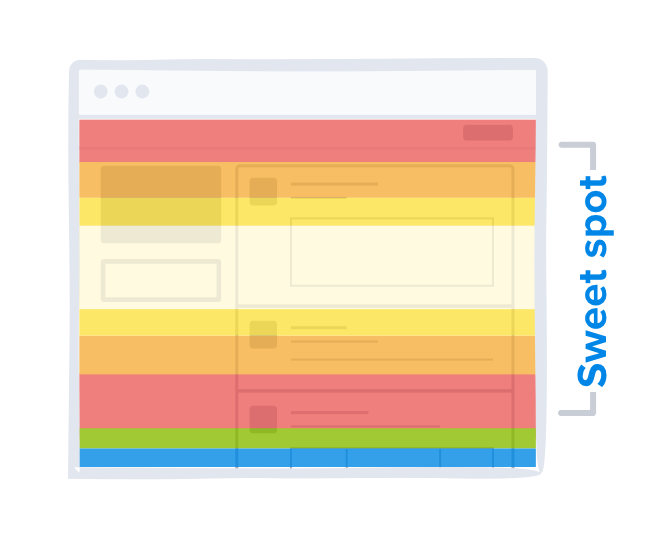 Scrolling behavior may be different for visitors on different devices. This is especially true if you are using a responsive website design where it's typical for webpage elements to collapse and drop beneath each other. You can set up Scrollmap for both mobile and desktop visitors. How long should I let my Scrollmap collect data? It's a good rule of thumb to let your data collection run for at least two business cycles. That usually means over a two-week period, hopefully free of holidays and other unusual interruptions. You should apply this rule of thumb to any type of website testing initiative you plan to carry out. Find out where your visitors are getting stuck.